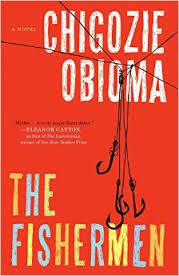 Debut novel explores the ways old superstitions continue to permeate Nigerian families. It took me about 1/3 of the book to get into the swing of it but the ending proved my hanging in to be very worthwhile. The story is told from the first person point of view of Benjamin Agwu, age 9 at the time, the youngest of four very close brothers living with their other siblings and parents in the town of Akure, Nigeria in 1996. They live a fairly middle class life but times are tough and Father has to work in a distant city where it is not safe for the family to live. This leaves mother to do the child raising herself. Ben is 9 at the time. The story actually has a small but vital backstory which goes back to the troubles of 1993 and the first elections there when the protagonist was 5 or 6 years old. This sets up some loyalties and bonding between the botpys as well as setting the stage for the possibility of violence to come. The Agwu parents are Christian but the mother hangs firmly to some old beliefs. Father tries very hard to make his sons successful. Unfortunately, the boys take it into their heads to become fishermen, disobeying their father, and make a little extra money. The river becomes a hugely important symbol or metaphor in the tale. Meanwhile, a man named Abulu, the town crazy (and seriously so making for the possibility of allegory, puts a spell or prophesy on one of the boys which affects the whole family and results in a multi-faceted tragedy. With Benjamin telling the story in past tense there is the possibility of an unreliable narrator but that never seems to be the case. Rather it’s a bit higher level than what a child could remember and the dialogue and linear chronology are well done. There are several really amazing and unique metaphors and tropes. They set the book apart and really into its setting.